On Tuesday, I visited la Catedral de Santa Maria de la Sede in Sevilla, or simply the Seville Cathedral. It’s the largest cathedral in all of Europe and the burial site of Christopher Columbus, and it’s absolutely beautiful. 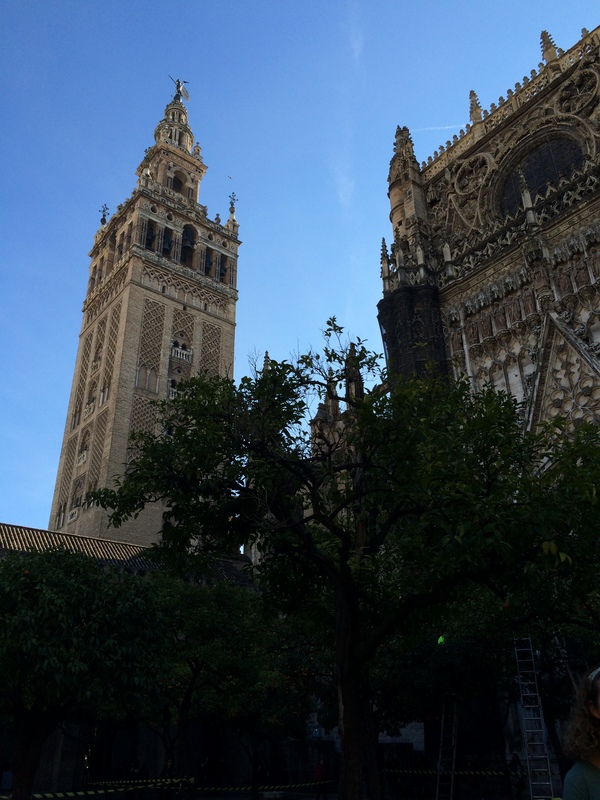 The cathedral boasts a bell tower called the Giralda, a modified minaret of the mosque that once stood where the church now stands. At a whopping 343 feet tall, the 34-story tower was a beast to climb, but the breathtaking view from the top was worth the exhausting trek. Luckily, instead of stairs, the tower had a stone ramp, which made the trip back down a little easier on my aching calves.